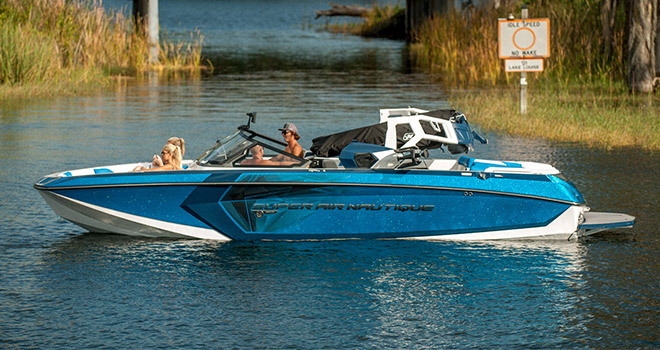 The Super Air Nautique G23 was just named Wakeboard and Wakesurf Boat of the Year once again. The G23 continues it’s reign over the WakeWorld Riders Choice Awards for the 4th (Wakesurf) and 5th (Wakeboard) consecutive year in a row! 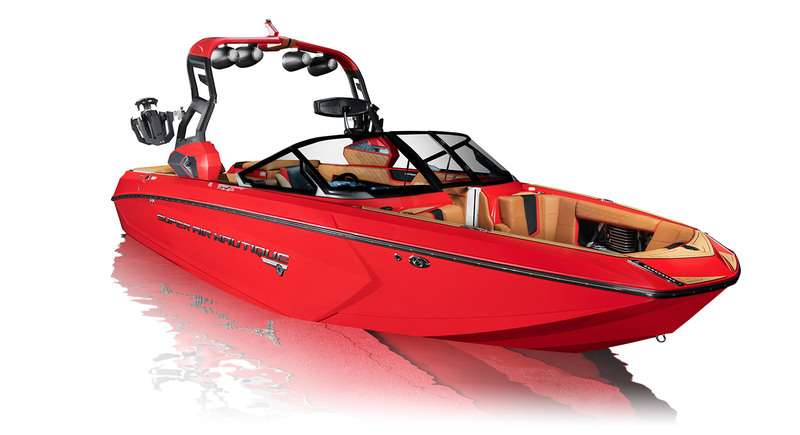 Click here to design your own Nautique! The all-new Flight Control Tower features an actuated system that can fold up and down with the touch of a button. 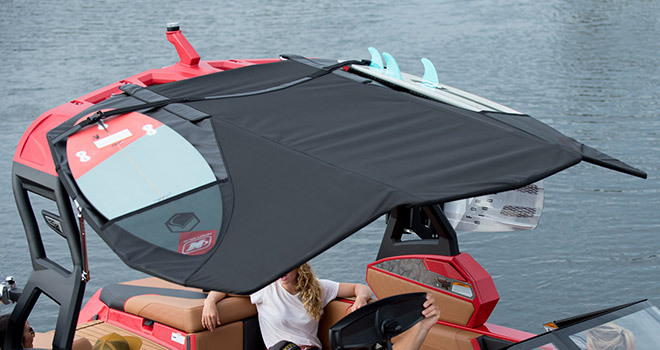 With the ability to be operated by just one person and with the bimini still connected, this new design makes it extremely convenient for anyone who needs to fold down the tower to go under a bridge or pull into a boathouse. A standard feature exclusively on G-Series models, the new actuated Flight Control Tower is another benefit to owning a new Nautique. 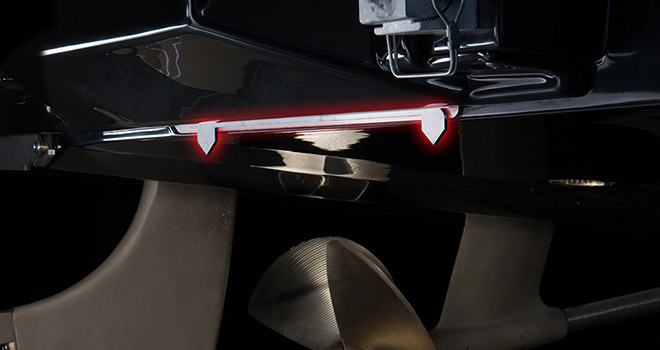 The patented MicroTuner technology on the 2019 Ski Nautique is a first-ever in the watersports world. These MicroTuners automatically deploy into the water at the transom of the hull and disturb how water flows behind the boat. That disturbance fills in the troughs of the wake with water, which greatly reduces the disruption skiers typically feel in these areas. This also allows the skier to keep their edge more engaged while directly behind the boat so they are able to load the line and generate speed in order to have more time at the next buoy. 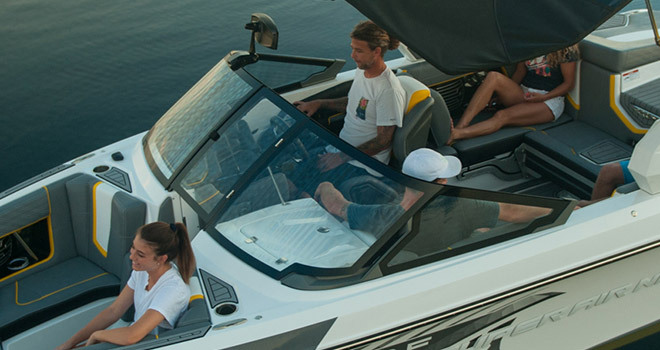 A beautifully sleek new windshield is now on all boats in the Super Air Nautique G-Series. A frameless design that gives it a modern, automotive-look perfectly incorporates into the exterior of the 2019 G-Series. With great visibility and adjustable vents for the perfect airflow, the new windshield is another step forward in the refined characteristics of the G-Series. 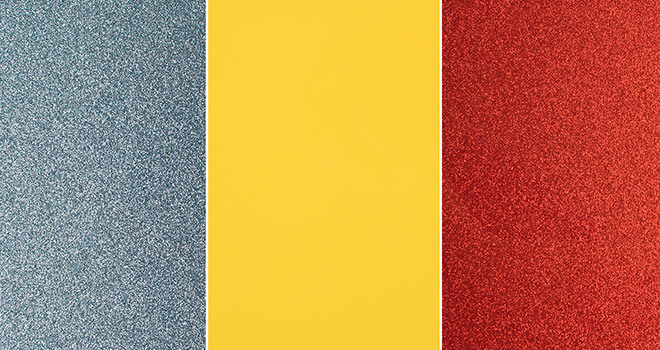 New gel coat color options available for this year include Steel Blue Metal Flake, Canary Yellow and Solar Red Metal Flake. Steel Blue and Canary Yellow are also new vinyl options this year. 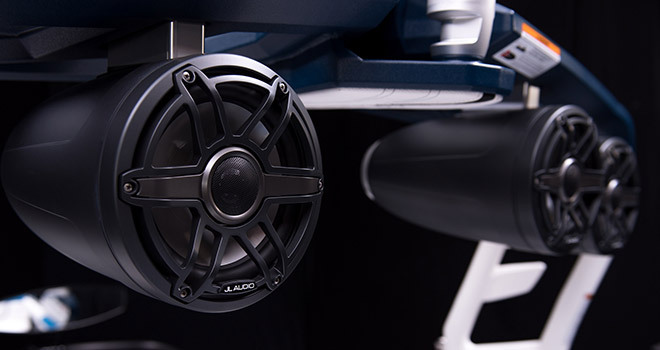 The tower speakers for the Super Air Nautique G-Series have been significantly upgraded to the latest in stereo technology, with the M6 speaker by JL Audio. Along with the tower speakers, all in-boat speakers on the G-Series models are upgraded to the JL Audio M6 speakers. We are a Signature JL Audio Dealer! 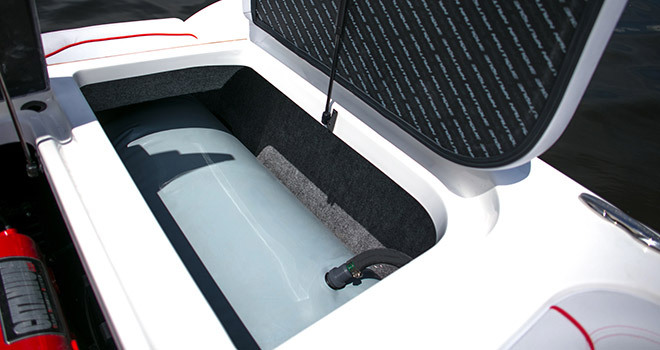 The bimini option for all Super Air Nautique G-Series models has been improved to offer increased coverage and better functionality of deployment and stowage. New hardware on the flip-up passenger seat makes it even easier to use.This robust hardware improves the user-experience and improves the aesthetics as well. Our GS22 and GS24 models now are available with the optional Pro Wake/Surf ballast system. 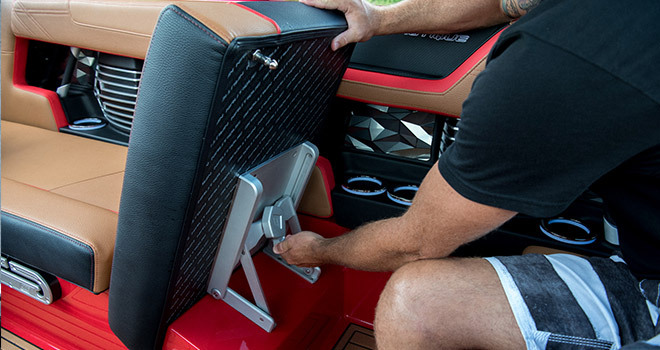 This 700-pound option offers you 350-pound sacks in each rear compartment that are plumbed into the ballast system, and will automatically fill and empty – which you control via the LINC Panoray Touchscreen.